At a keynote presentation earlier this morning, former Vice President Al Gore officially welcomed more than 1500 new members to the Climate Reality Leadership Corps. 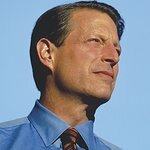 As part of his day-long session with attendees, Mr. Gore, the Founder and Chairman of The Climate Reality Project, delivered an updated slideshow presentation first made popular by the award-winning An Inconvenient Truth. Volunteers from all 50 states and more than 70 countries attended the Climate Reality Project’s twenty-third training program, and participants included teachers and students, academics, lawyers, physicians and nurses, entertainers, homemakers, business leaders, entrepreneurs, public servants, and more. Following the training, Climate Leaders emerge from the program as energized and skilled communicators with the knowledge, tools, and drive to educate diverse communities on the impacts of climate change and to demand action now. Since the program’s inception, Climate Leaders have reached millions of people worldwide through their presentations in their communities. In 2013, Climate Reality CEO Maggie L. Fox challenged Climate Leaders to undertake more than one thousand Acts of Leadership, including presentations in their communities, public hearings, and media outreach to a collective 1.3 million people worldwide. This is the second Climate Reality Leadership Corps event in 2013, following the organization’s largest-ever international training program in Istanbul in late June 2013. “Today, we’re proud to announce the third annual 24 Hours of Reality, which will take place this year in Los Angeles on October 22. “Every year, we travel around the world to explore the reality of the climate crisis and tell just some of the countless stories of how it’s transforming lives and how people are joining together to do something about it. The theme of this year’s 24 Hours of Reality is the exorbitantly high cost of carbon pollution that we’ve all been paying for way too long now.